Saigon (also called Ho Chi Minh City) is a vibramt, dynamic city that is the heart of Southern Vietnam. 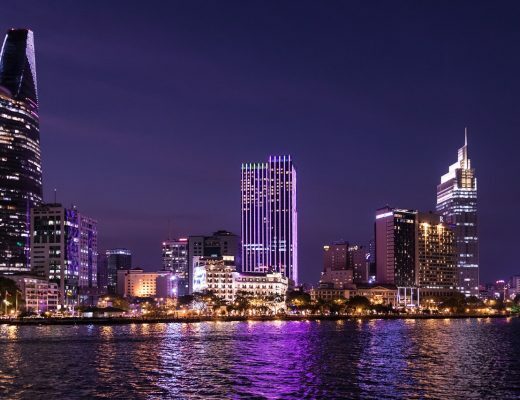 While Hanoi is the capital of Vietnam and the most important city of the north, Saigon is the largest city in all of Vietnam and also the busiest and most bustling. Saigon is a city people either love or hate. There’s a lot going on there – the constant motorbike traffic and the ever-present smog accompanying them, the litter on the streets and the general loudness of the city, especially in the morning. But in spite of Saigon’s flaws, I found myself loving the city, enthralled by its constant hum and rhythms. In Saigon, I loved how sunset didn’t mark a time of quiet and people hurrying indoors off the streets but rather a time of renewed energy and focus. The punishing sun finally down, the humidity slackening just a bit, Vietnamese people of all ages would grab a plastic chair, sit in an alley, and laugh and drink into the late night hours. Contrast this with the winter in Bulgaria that I was escaping, and you’ll see why I found Saigon such a treasure. Meanwhile, the people of Saigon are in my opinion its greatest asset. I had some challenges on my first visit to Vietnam, particularly in Hanoi. 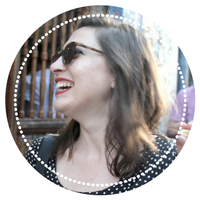 I was nearly pickpocketed in broad daylight walking in a city park – mere hours after I was scammed by a taxi driver, overcharged nearly 20 times the amount the ride should have been. 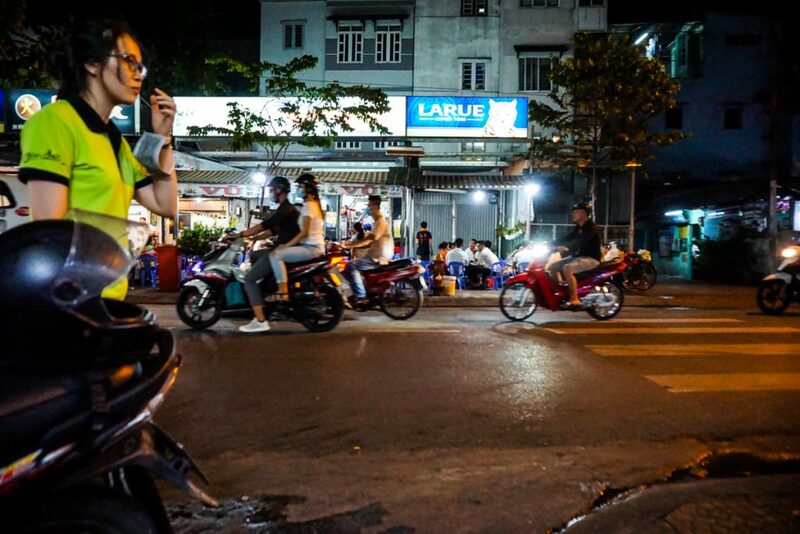 While of course you can’t judge a city of millions by the actions of a few assholes, I did find Saigon people to be far more pleasant to tourists – less bent on fleecing tourists, more friendly and free with their smiles, more honest. I spent three weeks solely in Saigon with not one issue, taking a few minor precautions which I’ll go into detail on shortly. One quick word on the city’s name: The city is officially known as Ho Chi Minh City, but many people still call it Saigon, and locals typically still call it Sài Gòn when speaking about their city. 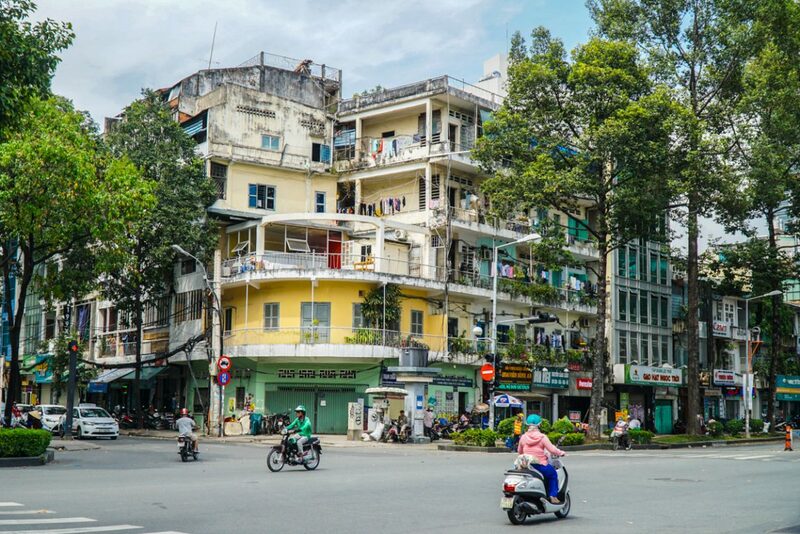 For stylistic purposes, I’ve primarily chosen to use the word Saigon, but I call the city by its official name (Ho Chi Minh City) at times in this post, in order to respect both points of view. Thanks for your understanding. Getting thrown headfirst into the crazy flow of Saigon traffic on the back of a motorbike is hands down one of the most fun things to do in Saigon! I booked a combination sightseeing and street food tour by motorbike, and it was a fantastic experience. We tried bun bo hue (a spicier and more flavorful take on Vietnamese soup), visited the oldest apartment block in Saigon, ate banh xeo (an enormous savory Vietnamese coconut pancake), visited a flower market and the Cambodian market, tasted a banh mi (Vietnamese sandwich) and headed to District 4 for some seafood BBQ. It was a fantastic evening and despite the complete madness of Saigon traffic, I felt very safe with my experienced and very funny, friendly driver. Seriously, these guys drive in this traffic every day – you are in good hands! If you don’t have the money to spend on a street food/sightseeing tour, you can always just do as the locals do and hire a motorbike taxi for as little as 50 cents using Grab Bike! It was my primary way of getting around the city and while some of my drivers were a little less cautious than my driver was on my motorbike tour, it was always a lot of fun! Salty, sweet, sour, full of umami, and a hint of spice: it’s no wonder that Vietnamese food is some of my favorite in the world. So obviously, one of the top items on my list of things to do in Saigon was to take a cooking class! I took a class with M.O.M. Cooking School and had a fantastic experience – I’d highly recommend taking a class with them if you have any interest in cooking or bringing home some Vietnamese recipes, or just learning about Vietnamese culture in a hands-on way and getting a break from the relentless Saigon heat in an air-conditioned and comfortable kitchen. Each cooking class lasts about 3 hours and covers 3 dishes. I learned to make pork and shrimp summer rolls (goi cuon) with a hoisin-peanut dipping sauce, fish-stuffed pumpkin blossoms with a fiery fish sauce-infused nuoc mam cham sauce, and the most delicious lemongrass and chili chicken stir-fried to be impossibly soft with the addition of coconut water. Most of the prep work was done for us, so we were able to focus on technique – so the fun stuff, basically! The menu changes daily so if you have any dietary preferences or restrictions (or just want to know what you’ll cook in advance!) be sure to check on Klook. They’ll give you a sample menu of what dishes will be prepared on each day. 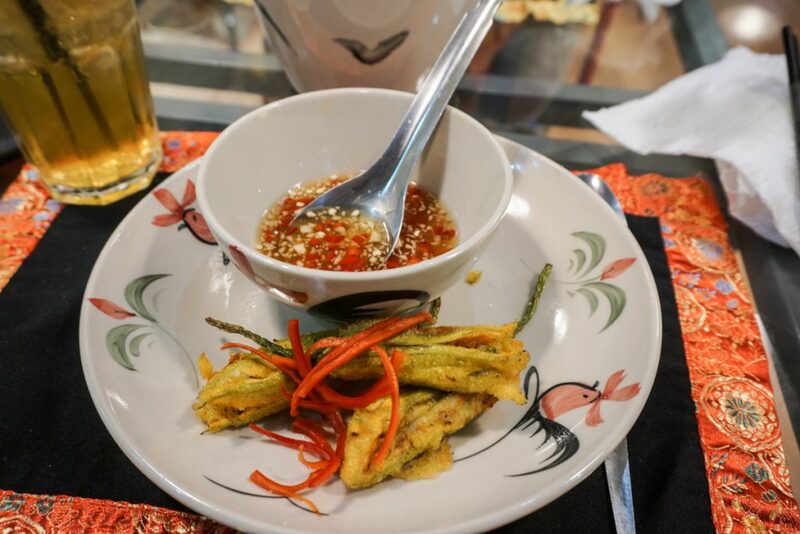 If you’re a huge fan of Vietnamese cooking you could even go for more than one day and learn even more dishes as all 3 dishes you prepare change daily. While not an easy or light thing to do in Saigon, visiting this museum about the Vietnam war is essential viewing in my opinion — especially if you are American or are from a country that was allied with the Americans in the war. No matter what side of the ideological divide you fall on, you can respect the senseless loss of human life and the ongoing tragic impact this war has had on generations of Vietnamese, Cambodians, Laotians, Americans, and other victims of this brutal war. 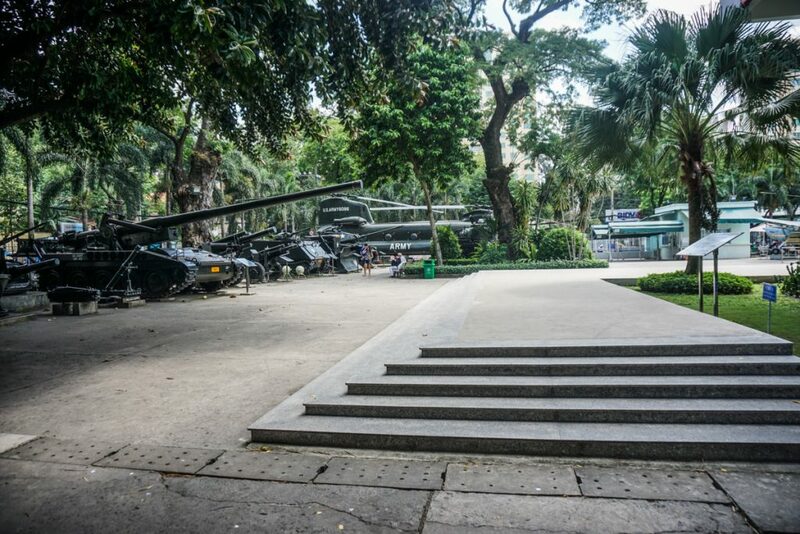 The War Remnants Museum in Ho Chi Minh City is an excellently laid-out museum, full of photographs and articles documenting the worst abuses of the Vietnam War. As an American, visiting this museum was hard, knowing the pain that my country inflicted on this country that is now welcoming me, but I know that the pain I felt in bearing witness to the awful acts my country committed is nothing compared to the pain of those who lost their limbs, their homes, their livelihoods, and their loved one as collateral during this war. For me, it was particularly heartbreaking to see the effects of Agent Orange and dioxin on the population of Vietnam, and the effects it continues to have, causing birth defects and severe illnesses even in the fourth generation of survivors. There’s no doubt that the U.S. committed serious war crimes in Vietnam and that the war here was one of the biggest tragedies of the 20th century. It’s hard; it’s heavy; it’s essential to see in Ho Chi Minh City. Seeing this museum then going into the streets of Ho Chi Minh City – where the locals welcome guests openly and proudly – can be a bit of a shock to the system, making you wonder if you deserve their kindness. It’s a dose of humility and an important reminder of the power of forgiveness and the human ability to survive. Another stop on my motorbike tour, I loved visiting the Ho Thi Ky Flower Market in District 10. Our stop here was brief but definitely worth it, and if you’re a huge fan of flowers or want to bring something home to decorate your hotel room, it’s definitely worth a visit all on its own. 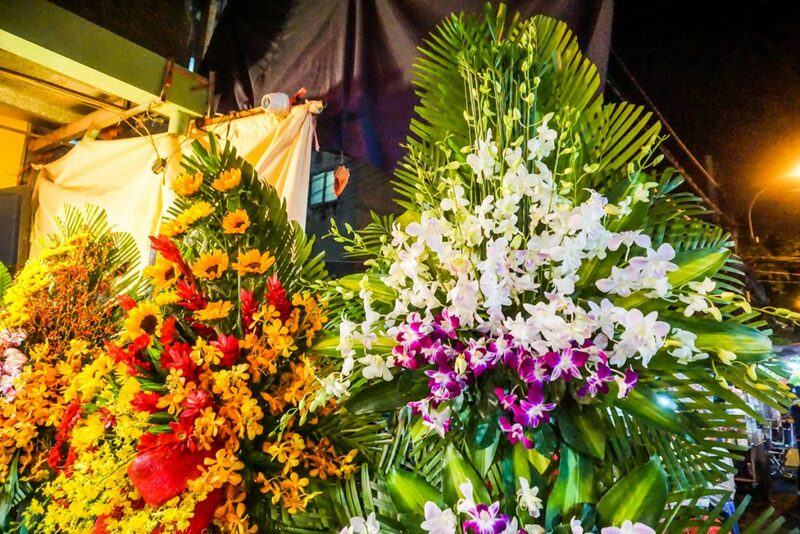 I learned that white and purple flowers together symbolize death and are the appropriate gift for a funeral – so don’t make that mistake when buying flowers if you’re trying to woo a Vietnamese girl or make a good impression on a host family! My guide explained to me that many of the flowers come in daily from Da Lat, a mountainous region about 6-8 hours away by truck. Seeing the effort that these markets put in to constantly have fresh flowers, despite the punishing Saigon humidity, is really beautiful. 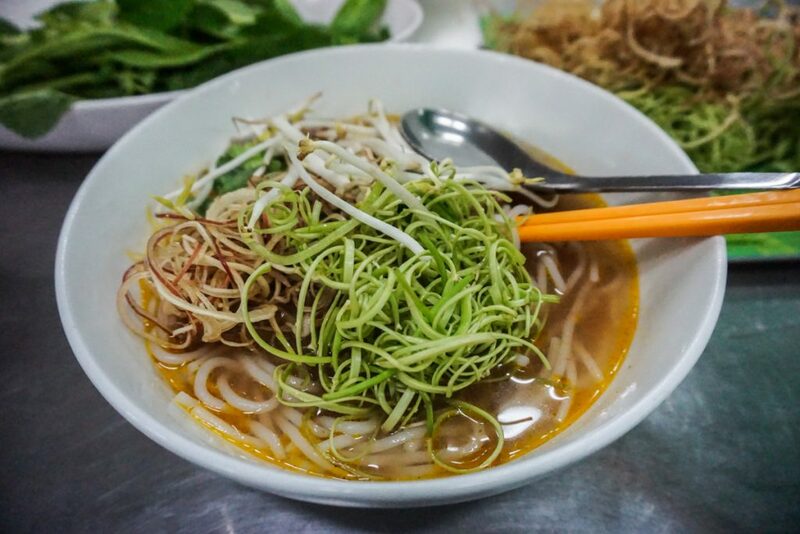 Just a short distance from the Ho Thi Ky Flower Market, you can find a local Cambodian market (Le Hong Phong Market), which is a little different than all the other markets in Saigon. This was also a stop on the motorbike tour I did as it’s literally right next to the Cambodian Market – we walked over from the flower market. So if you’re traveling by Grab Bike or taxi, this is a great way to see two outer-district sights in one if you’re not going as part of a tour. There’s a ton of delicious Cambodian food offerings here, as there is large Cambodian population living in Saigon, who fled the country during the genocidal reign of Pol Pot and the Khmer Rouge in the 1970s. 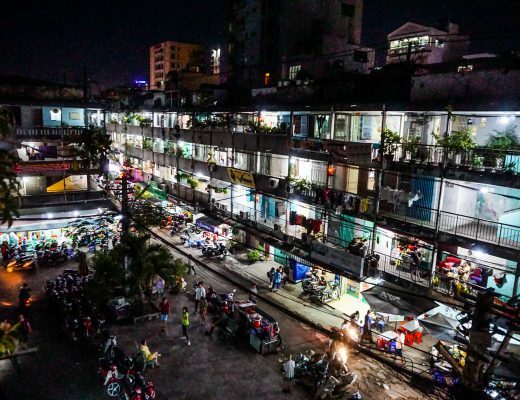 The market has been here since not long after, as the heart of the Cambodian refugee community, and it is now a spot for Vietnamese, Cambodians, and curious tourists who make the trek out to District 10 to explore. When I first visited Vietnam 4 years ago, craft beer wasn’t even a thing – it was pretty much just Tiger or Saigon everywhere you went. Now, there’s a number of excellent craft beer bars and even microbreweries located in the heart of Saigon. 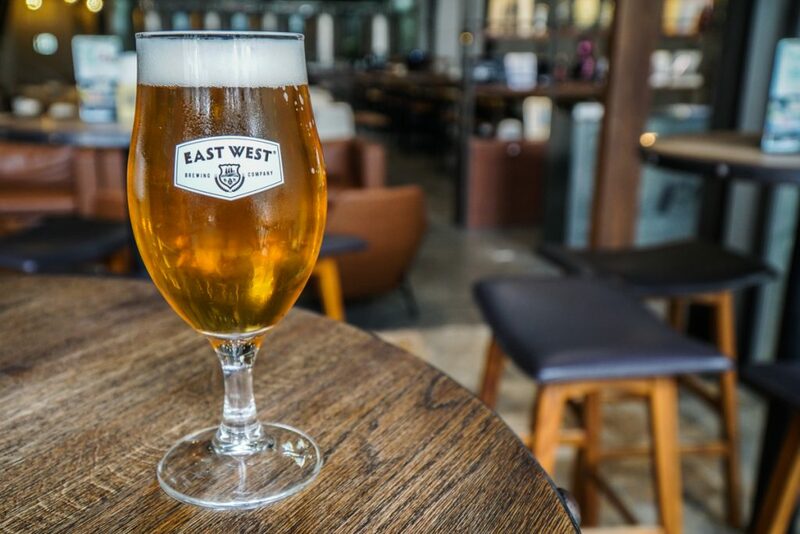 I got the chance to visit three during my stay in Ho Chi Minh City – East West Brewing Company, BiaCraft, and Pasteur Street Brewing. While all were lovely and had different vibes and atmospheres, my favorite by far was Pasteur Street Brewing – don’t miss their jasmine beer, it’s so fantastic and delicious. I wanted to write a guide to craft beer in Saigon… but my low alcohol tolerance, especially in the hot humid weather, meant this was a job better left for professionals! Check this post out for a complete guide to craft beer in Saigon. This is the most popular market in Vietnam, and while it is touristy and slightly more expensive than other markets in Ho Chi Minh City, I think it’s still worth walking around. That’s mostly because it’s so close to many of the other sights that you will see in the center of Ho Chi Minh City, rather than of itself being essential viewing. It’s a great place to buy Vietnamese souvenirs, if you have friends or family back home who you’re thinking of shopping for. Rather than get a kitschy T-shirt or, god forbid, a pair of elephant pants, here are a few authentic Vietnamese souvenirs that I recommend: Vietnamese drip coffee pots and Vietnamese coffee from the highlands (Da Lat), any sort of specialty cookware or non-perishable goods if you have a friend back home who loves cooking (or for yourself! ), and an ao dai, a beautiful Vietnamese traditional dress-like garment typically worn over trousers. 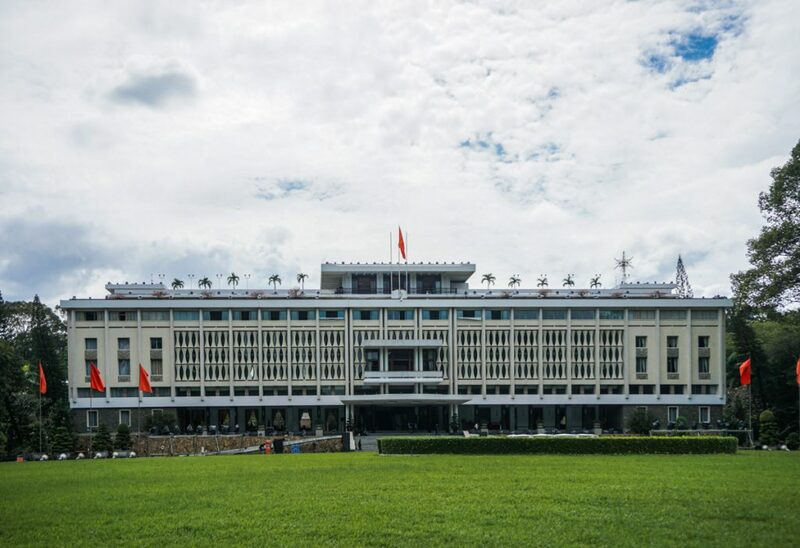 Independence Palace is also called Reunification Palace – you’ll find that like Saigon itself, many things in this city have two names, an indicator that the North-South divide is not merely a thing of the past. Whatever you call it, Independence/Reunification Palace is a must-see in Saigon, as one of the most famous buildings in the city. Tickets cost 40,000 dong, less than $2 USD. I visited right after it reopened at 1 PM and thought that was perfect, as it was pretty peaceful when I was there and easy to snap photos without massive groups of people crowding it. By the time I left, huge groups were arriving, so I think I had good timing. The building looks as if it is standing still in time – its 1960s architecture along with its kitschy vintage furnishings have barely changed since the tanks from the North arrived in 1975, when the city of Saigon officially fell. Personally, I regret not having an audio guide as I didn’t really know what I was looking at, even though it was visually interesting. I thought there might be more signage about why each room was important, and what was the general history of the place, but I didn’t find this to be true, so if I came back I’d spend the extra 50,000 or so dong on the audio guide. Alternately, you could visit it (alongside a lot of the other sights on this list, such as the Post Office Building and the Opera House, on a guided walking tour). 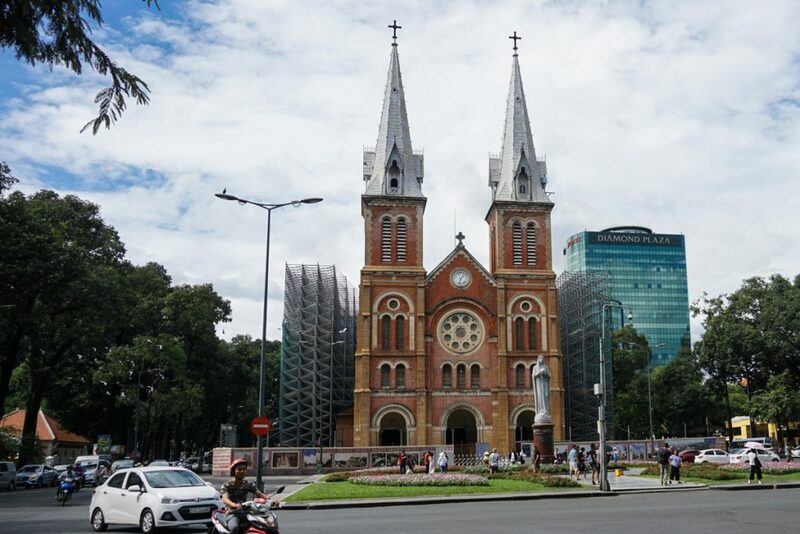 Unfortunately under construction during my visit, I still think Notre Dame Basilica is well-worth a visit while in Ho Chi Minh City, especially given its prime location near Independence Palace and the beautiful Post Office building. In fact, it’d almost be harder to not visit Notre Dame than not! Notre Dame has its roots in the French colonial period which is responsible for a lot of the architecture that you see in southern Vietnam, and it’s well worth making a small circuit when downtown to see the other French colonial buildings. I’ve included the Central Post office across the street, as well as the City Hall and Opera House in this post, but there are others – this can be done easily independently or with more context on a guided walking tour. I found this to be the most beautiful building in Ho Chi Minh City – but maybe it’s because my favorite color is yellow. 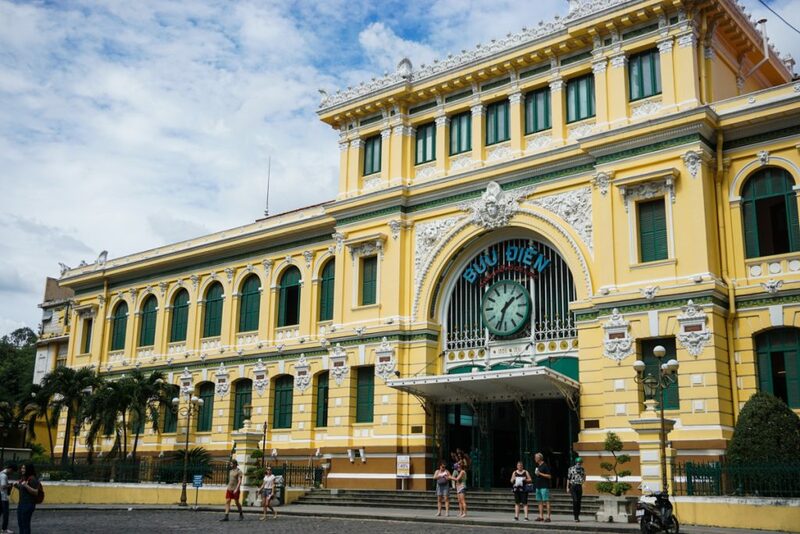 Located right across the street from Notre Dame Cathedral and truly in the heart of Saigon, Buu Dien (aka the Central Post Office) is so central that it’s almost impossible to miss. Unfortunately, this gorgeous building has been thoroughly converted into a tourist mecca, with endless rows of booths selling tours and two souvenir shops. However, if you can look past the touristic angle and appreciate the beautiful architecture, I think it’s still worth visiting. Another colonial-era building from the early 1900s, it’s unfortunately not possible to go inside the City Hall as a tourist. While it’s still in use, it is strictly for civil servants and staff of the Peoples Committee in Ho Chi Minh City. It was another one of my favorite buildings in Saigon and since it’s just a short walk from the Saigon Opera House it’s easy to tack on to your Saigon to do list. 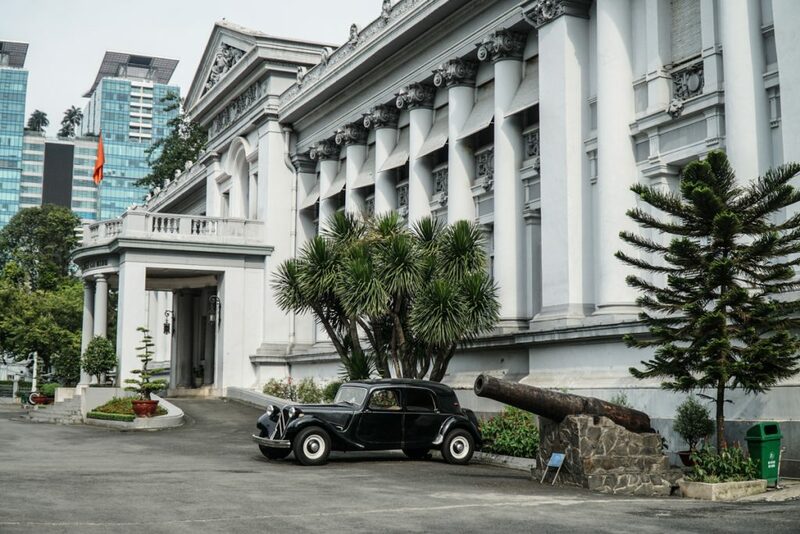 One of the most essential places to visit in Saigon is the Saigon Opera House, which is both a prime example of the French colonial architecture but also one of the few colonial buildings still in use for its original function (or close to it) today. 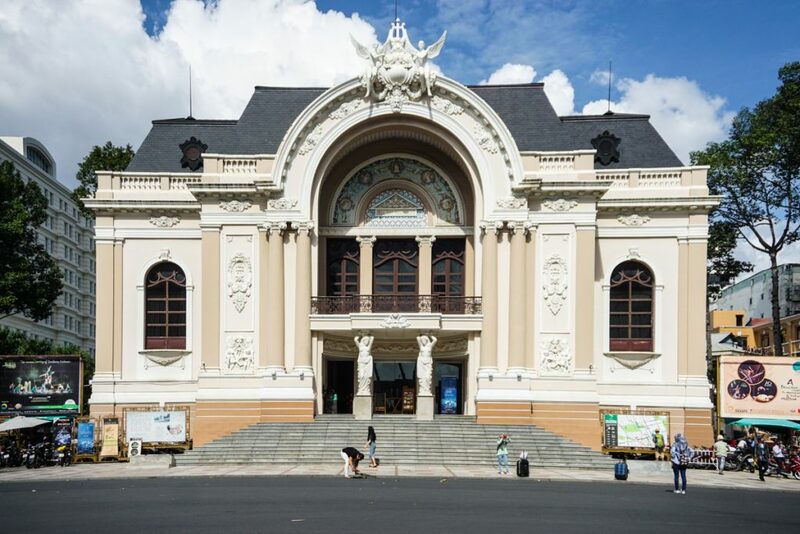 The Saigon Opera House is home to the AO Show, a performance which combines elements of dance, circus arts, and a distinctly Vietnamese twist, as folk instruments, costumes, and bamboo are all utilized during the performance. Shows run just about daily at 6 PM so it’s a must-see in Saigon if you’re a lover of the arts. You can see just a performance of the show or you can combine a showing with a dinner for an even more special night out! Whichever you pick, it’s a recipe for an incredibly memorable night out. 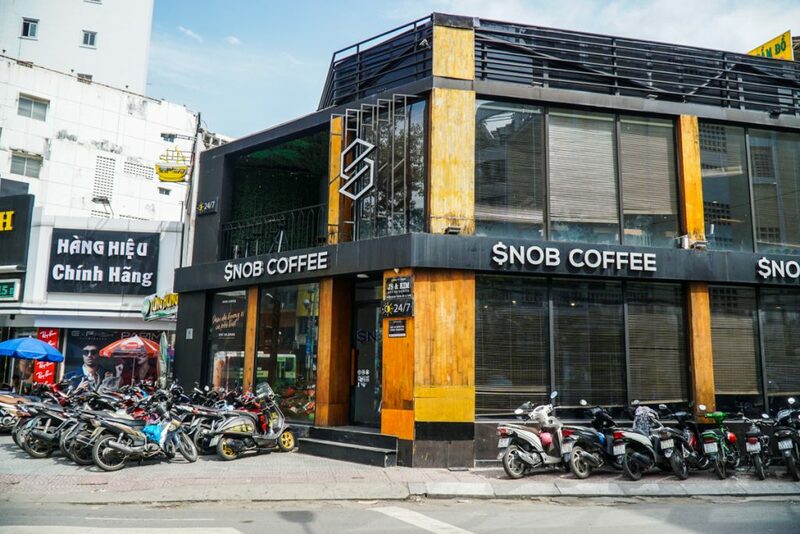 One of the most unmissable things to do in Ho Chi Minh City is indulge in the city’s coffee culture (though I have no idea if $nob Coffee is any good – I just thought it was hilarious). 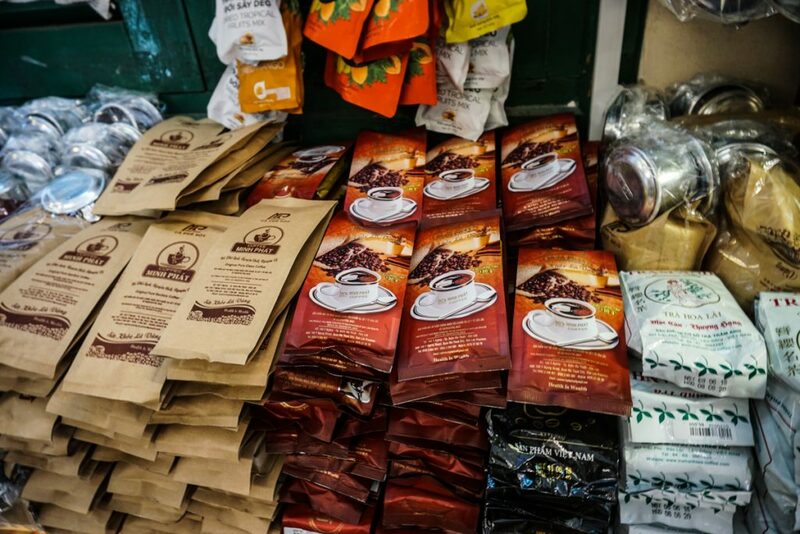 The traditional way to drink coffee in Vietnam is over condensed milk either hot or cold – and in Saigon, you’re probably going to prefer cold, unless you’re a crazy person like my boyfriend who thinks iced coffee is the devil’s work. I warn you, there’s nothing quite like the double-whammy of a shot of extremely concentrated coffee plus the sugar rush of all that condensed milk, so drink with caution or prepare to stay up all night! Vietnam is often associated with their own syncretic blend of religions that include Buddhism, Confucianism, and Taoism, with elements of folk religions mixed in. 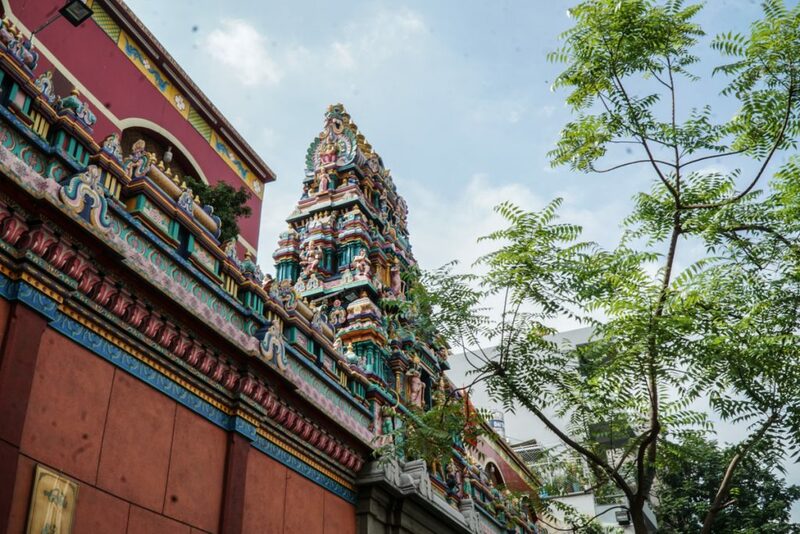 But naturally, as Saigon is the most diverse city in Vietnam, there are plenty of religious buildings that don’t fall under the pagoda umbrella, such as Hindu Temples, Catholic churches, and even Islamic mosques. There are actually a handful of Hindu temples right downtown. I particularly liked visiting Temple Goddess Mariamma, but Sri Thenday Yuttha Pani Temple is not far away, either. This museum traces the development of Saigon as a city, but in my opinion, the museum doesn’t quite reach its full potential. This is a city with so much history that it should be hard to tell a boring story about it – but the collection of artifacts inside don’t do justice to the tumult and changes that have marked Saigon since its early days. So why am I even including this on a list of things to do in Ho Chi Minh City? Well, the building itself is absolutely gorgeous, and it’s super cheap to enter. 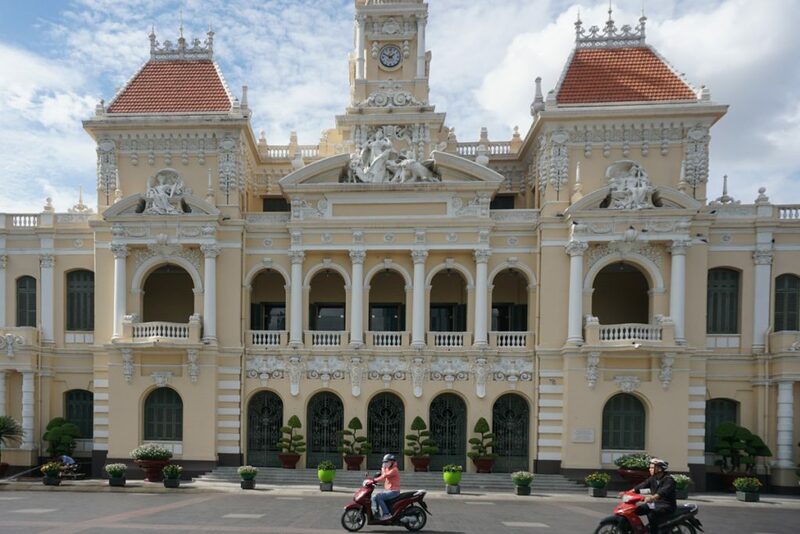 The building was designed in 1887 by the very same French architect who designed the beautiful post office that’s now iconic of Saigon’s colonial style. However, its intended purpose (an exhibition hall) never came into fruition. Instead, it was, at times, a lieutenant governor’s residence, the residence of Japanese occupiers, and then it was the residence of Emperor Bao Dai…. which promptly ended when the revolutionary Viet Minh, Ho Chi Minh’s crew, came in. Later, the British held it, then the French, and then eventually the South Vietnamese president…. before finally being part of the North’s sweep of the city during the fall of Saigon, and eventually being turned into a museum post-reunification. Vietnam is one of my favorite places to indulge in a day of R&R and I took advantage of their affordable spa prices several times during my 3 weeks in Saigon. Be cautious when booking a spa day – some spas are really, well, ‘massage parlors’, aka prostitutes. Always check the Google reviews and make sure it’s the kind of place you’re actually meaning to end up. Another word of warning… many massage centers and spas offer insanely low prices when inviting you in (around $6-8 per hour for a foot massage, say) – then, after your massage, which may or may not have been satisfactory, demand tips of up to nearly 100%, therefore doubling the price! I have no problem with tipping masseuses – they do hard work for little pay or security – but I do have a problem with being duped into paying double the expected cost disguised as a “tip,” when I generally tip 10-20% depending on quality of service. Instead, I recommend going to a more reputable and slightly more expensive spa where you can be guaranteed you won’t get the tip hustle. I went to Cat Moc Spa several times during my stay in Saigon and loved it each time. The massages are reasonably priced, around $15-20 USD for an hour, and there is no tip hustle (though of course you are free to tip and tip well!). I highly recommend them, as the atmosphere is a step above what you’ll usually find in Saigon and the quality of masseuses is extremely high. They’re very friendly and experienced, so it’s worth the extra expense in my mind (which doesn’t actually end up being that much extra when you consider that you are getting an honest price from the get-go).